A pre-tour party will kick-off the home tour on Friday, April 12 (6:30 pm-8:30 pm). Tickets are $75 per person, which includes the tour. 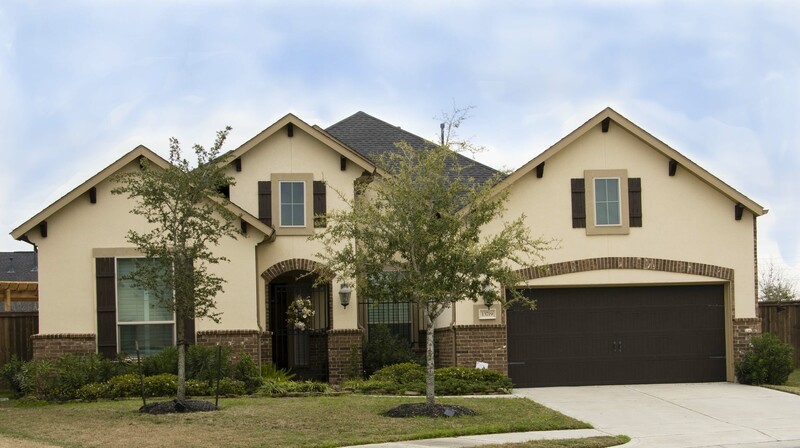 Located in Clear Lake's newest residential area, the Reserve, this exceptional patio home sits on an enviable cul-de-sac lot in this secure, gated community. Designed for comfortable living and optimum entertaining, the home makes best use of all 3000 sq.ft. Windows on the back side of the home further expand the living area yet retain privacy. "Casual elegance" is the best description of the home's design and furnishings. The open-design kitchen embraces both exceptional storage and flexibility. While decor relies heavily on neutral tones, the owner's superb touch is evident in strategic placing of just the right "pop" of color, family art/awards and antiques. The master bedroom and bath would surely be the envy of the finest spa! The backyard adds further ambiance and further increases living/entertaining space. A spa/pool (right outside the master bedroom), pergola and wraparound deck hold court with beautiful landscaping. 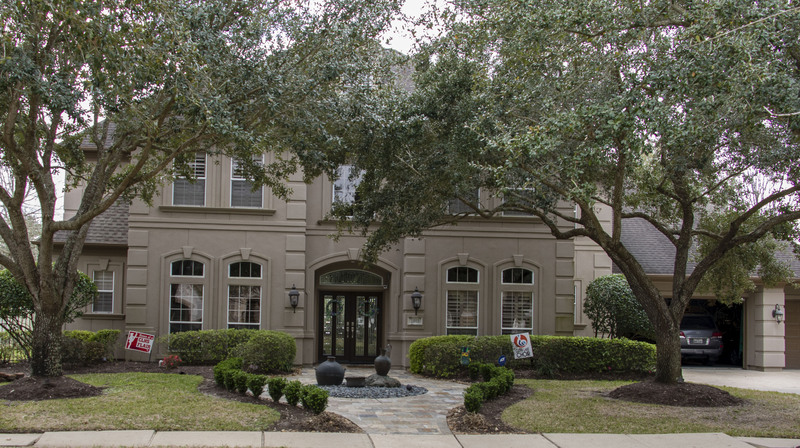 #1 Houston (3303 Acorn Wood Way, Houston): The showcase home is located on a golf course with views of greens and has approximately 5,500 sq.ft. of living space on three levels. Only minimal updates have been made since its purchase in 2005. Owners have combined family antiques with traditional and contemporary pieces for a balanced eclectic style. A neutral palate receives a pop of color from purple furnishings in the formal living where family pieces are mixed with contemporary ones. The second floor contains four bedrooms and can accommodate eight guests. A multi-level pool and recently added putting green make this house perfect for the very community-involved owners, two high-schoolers, and visiting sisters and spouses. 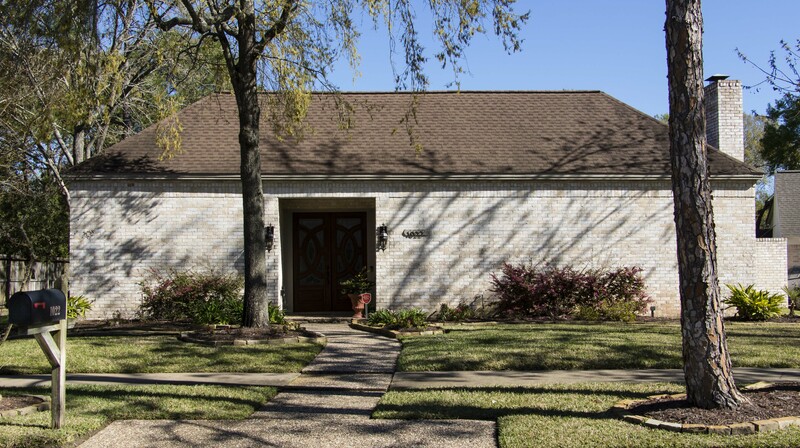 #2 Houston (16310 Brook Forest Drive, Houston): One of the homes on tour was water damaged and has been re-modeled. 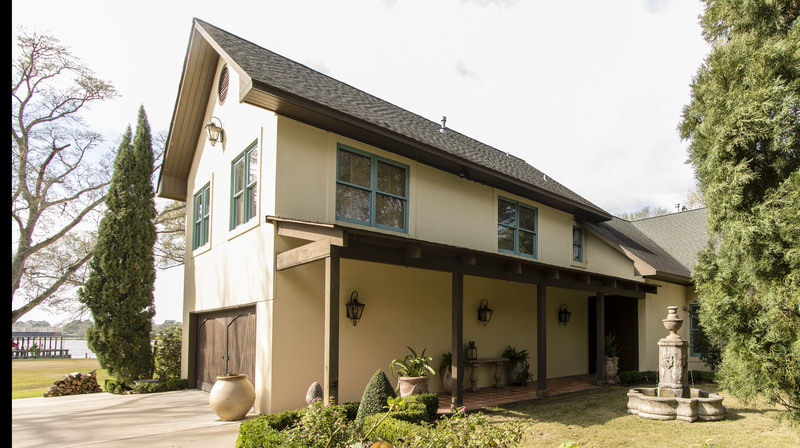 The home was featured on our 2015 home tour and in Houston Lifestyles, 2015 with its 7000+ sq.ft. It sustained extensive water damage on the first floor so that the owners have completely remodeled and created an even more exceptional home. Pops of color, an extensive eclectic art collection together with family photos give the home personality and warmth. Mirrored pieces with both gold and silver add both elegance and interest. Multiple amenities include a ballet studio, massive study with two closets, lady's dressing room and salon, and guest quarters. #3 Seabrook (1022 Villa Court Drive, Seabrook): When you first look at this house, you wonder where the windows are! The striking beveled glass double entry doors in the "baseball design" have replaced solid doors adding interest and light to the front of the house while maintaining privacy. The house is built with a pool in the middle surrounded on three sides with windows that face the pool, and the fourth side is open and fenced. 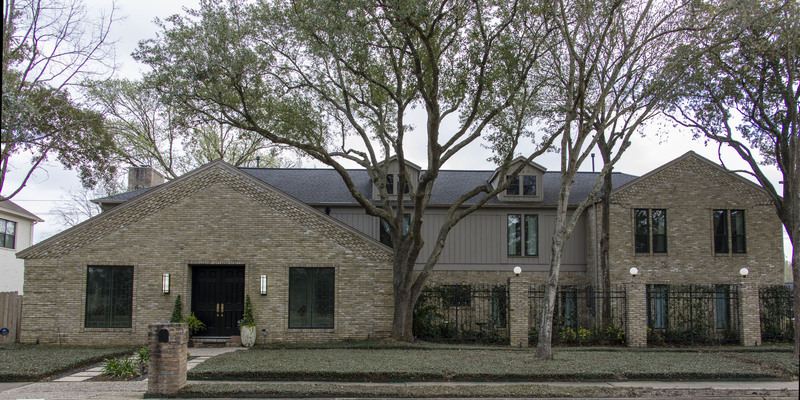 Built in 1973, modeled after homes found in the Memorial area of Houston, this home was unusual for its time and place. The skillful husband/wife design team recreated/refurbished the kitchen's footprint and added a large island that seats four, which leaves space for a cozy corner. Ten-foot ceilings and interior glass walls overlooking the pool make this 3100 sq.ft. home seem much larger. A consistent coastal color palate in old and new furnishings enhance the ambiance and further expand space. What was 1973, clearly is today's "much more." #4 El Lago (403 Lakeshore Drive, El Lago): The exceptional, secluded property of 3.5 acres, located in El Lago Estates right on Taylor Lake has endured both Hurricanes Ike and Harvey without damage. Built in l997 the current owners purchased the property ten years ago and selected it both for its size and secluded view and for the home's effective/efficient use of space. This lovely home combines both a traditional interiors style and a desire to use the elements of nature for maximum impact. There's an uninterrupted view of the grounds, infinity pool and Taylor Lake in the dining, living, study and master bedroom. Classic Saltillo floors are throughout the first floor and onto the patio. Vintage family pieces are combined with contemporary pieces for a casual elegance. Many projects on the property required forty loads of dirt for creating "paradise." #5 Butler Museum, League City (1220 Coryell St. League City): The Butler Longhorn Museum was severely damaged in Hurricane Harvey and has only recently reopened. The museum tells the story of the iconic breed of Texas Longhorn Cattle in addition to possessing a one-of-a-kind collection of western art and artifacts. The building and surrounding land was purchased by the City of League City in 2002 with a grant from the Texas Parks and Wildlife Department and transformed into a museum dedicated to telling the story of local-resident, Milby Butler, and his role in saving the Texas Longhorn from extinction. Few know that the longhorns were on the verge of extinction in the 1920’s. In fact, buffalo outnumbered the longhorns – an especially remarkable statistic given that just 40 years before the North American Longhorn was estimated at 40,000 head. The museum tells the remarkable story of six pioneer breeders and a few far-sighted federal employees, who refused to allow these animals to become extinct. It is rumored that Milby Butler taught John Wayne to ride a horse during the filming of the Alamo! 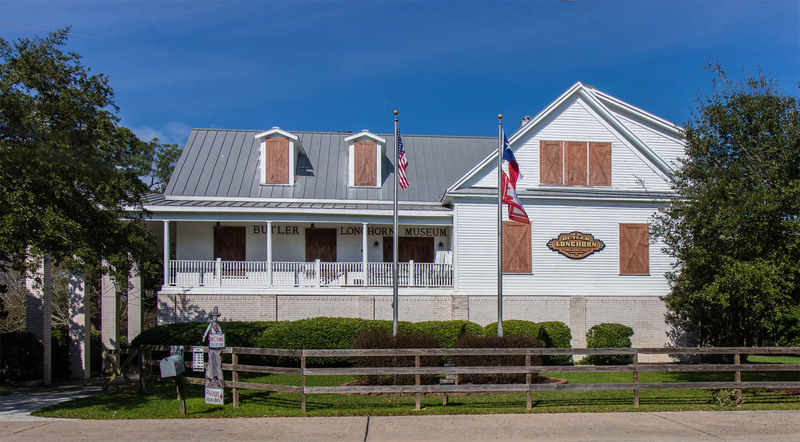 Complete with the Longhorn story, the museum also chronicles the history of League City which developed around the Butler Ranch and Cattle Station. The Home Tour is honored to have the Butler Museum included in our 2019 “Day by the Bay” Home Tour. Home Tour ticket holders have free admission to the museum during the tour. #6 Butler's Courtyard, League City (122 N Michigan Ave, League City): Butler’s Courtyard is a Bay Area treasure - combining four historical buildings to create one of the most sought-after venues in the Houston-area. The Butler Building, built in 1908 by George Washington Butler, was League City’s first bank – and more! With the help of ranch foreman, Andrew Dow, an imposing 2-story, L-shaped, brick building, became League City’s first commercial brick edifice. Bricks, created from clay in Clear Creek and fired by Brickworks, were used for construction. Walter Hall (and his wife Helen, scions of League City), was hired as the bank’s first cashier, January 1, 1931. In 1934, the bank moved to a location south of Dickinson due to the refinery boom and Great Depression. Mr. Hall and associates purchased the bank in 1943 – a bold move during WWII. The Butler Building (after 40 years of disuse) fell into disrepair and was destined for destruction by the mid-20th century. G. I. Butler, one of the Butler heirs, sold the property and building with the agreement that it would be restored, and it has become a premier wedding/event center. Rose Cottage, Conference Room (circa 1890), and The Shop, along with the Butler Building make up the four buildings, all with specific uses.